If you are living in Sydney and you require best vinyl floor stripping and sealing Sydney based company or concrete floor sealers Sydney based company, then West Link Services ranks at the top of the list in providing these services at reasonable and affordable rates. We are working on a larger scale and comprising of the best floor care specialist team. We help you in restoring old tired looking Vinyl Flooring and bringing it back to life. We bring back your old Vinyl floor to life with modern ways and high-end technology. Apart from cleaning vinyl floors we also serve you with vinyl floor stripping and sealing Sydney and concrete floor sealers Sydney services. Over a decade we are involved in cleaning business and we are setting higher market standards by evolving every day from our client’s constant positive feedbacks. We serve our clients regardless of the weekends or special holidays expanding our reach to 24/7 extraordinary services. 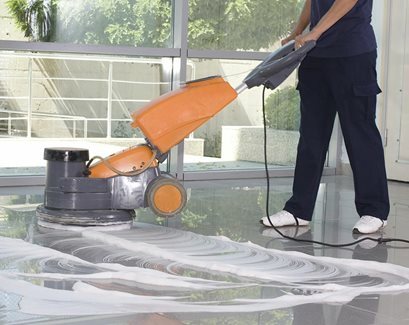 Our Vinyl floor Stripping and Sealing team and concrete floor sealers team operate all across Sydney, including Alexandria, Blacktown, Parramatta and Eastern Suburbs etc. We serve our clients with professional services including carpet cleaning, rug cleaning, windows cleaning, home cleaning, office cleaning, leather and upholstery cleaning, tile and grout cleaning, end of lease cleaning and mattress cleaning etc. Why choose us for Vinyl floor stripping and sealing Sydney or Concrete floor sealers Sydney? So whether you need our vinyl floor stripping and sealing services or concrete floor sealing services just call us at +61 416 187 900 today and we will provide more guidance to you regarding these services. Furthermore, we can help you in optimizing the services according to your budget and need. You can call us to book in advance as well as on the spot while we visit you for quotation.